Cognitive therapy strives to base itself on theoretically and empirically sound models. This workshop will introduce participants to a well established and theoretically rigorous model to guide the CBT supervisor. Developed by Professor Mark Freeston and Peter Armstrong from the Newcastle CBT Centre (NCBTC), the ‘Newcastle Model’ is our most well established CBT supervision framework. This 2-Day workshop will introduce this particularly elegant and comprehensive model and illustrate how it can be used to enhance your supervisory work. Day 1: will concentrate on a full description of the model, using participants’ experience of both receipt and delivery of clinical supervision to ground the description. Day 2: will address practical applications of the model in formulating and overcoming some of the difficulties that supervisors encounter. It will be presented by a member of the Newcastle CBT Centre (NCBTC) and will involve experiential exercises and time for reflection as well as didactic presentation. Mark is currently a Consultant Cognitive Behavioural Therapist and Head of Training at Newcastle CBT Centre, Northumberland, Tyne and Wear NHS Foundation Trust. 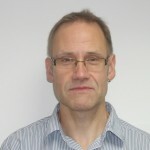 He has had more than 20 years experience as a CBT nurse therapist, CBT supervisor and CBT trainer in the NHS in Leeds and at the University of York and has presented at several BABCP annual conferences. He chaired the BABCP Supervisor and Trainer Accreditation Group 2004-2011 and currently serves as a member of the BABCP Accreditation and Registration Committee. He is BABCP accredited as a practitioner, supervisor and trainer. He has extensive clinical experience working with complex cases and has a special interest in clinical supervision, training methods and learning processes.